ORLANDO, Fla. – Children are the least predictable pedestrian and the most difficult to see. Last year in Orange County, 74 children under the age of 14 collided with a car. Motorists failing to yield are sometimes to blame. 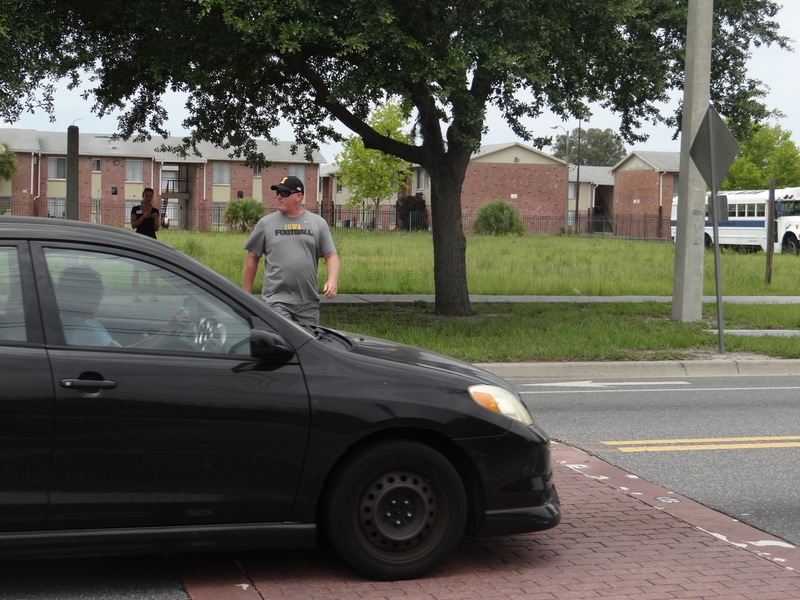 That’s why the Orlando Police Department (OPD) and Orange County Sheriff’s Office (OCSO) will be conducting crosswalk enforcement details at targeted locations Wednesday, Aug. 26 the same week that more than 190,000 students return to school. Dubbed Operation Best Foot Forward, officers will be enforcing eleven crosswalks at different times between 8:00 a.m. and noon on Wednesday. For the operation, officers will place a traffic cone or marking nearly 200 feet ahead of the marked crosswalk. As a car approaches, a plain clothes officer will attempt to cross the street, giving motorists enough time to yield. Those who fail to yield will be issued a warning or a citation, potentially costing them $164 and three (3) points on their license. Studies show that crosswalk enforcement is critical in boosting the number of drivers who yield to pedestrians because vehicle-versus-pedestrian culture flourishes when unchecked. To effect longer term change, enforcement is coupled with engineering improvements and educating residents and visitors. Although this effort is primarily focused on drivers, safety is a two-way street. Pedestrians, especially children walking to and from school, should follow the rules of the road – walk on the sidewalks, never run, look both ways before crossing the street, and be aware of their surroundings. Listening to music, talking on the phone or playing games while walking and crossing the street is very dangerous. In 2014, there were 74 pedestrian crashes involving kids 14 years old and younger. 46 crosswalks have been enforced through Operation Best Foot Forward since June 2012. OPD and OCSO have issued 2,065 citations and given 3,927 warnings as part of Operation Best Foot Forward since 2014. The number of drivers who yield to pedestrians has increased from 12 to 48 percent on roads posted 35 mph and lower. The number of drivers who yield to pedestrians has increased from 1 to 23 percent on roads posted 40 mph and higher. Parents and students will see pedestrian safety upgrades, which have also been made nearby some schools. Examples of schools that have seen pedestrian safety improvements over the summer are Lake Silver Elementary, with raised crosswalks and a speed table, a flat-topped speed hump similar to a speed bump; and Audubon Park Elementary, with a raised crosswalk. Smart Growth America’s Dangerous by Design Report ranked Metro Orlando as the “Most Dangerous” pedestrian metro of the past decade, where on average two pedestrians are injured every day and one is killed each week. The Best Foot Forward pedestrian safety initiative was launched in June 2012 to reduce pedestrian deaths and injuries in Metro Orlando by getting drivers to yield to pedestrians in crosswalks and getting pedestrians to be more careful crossing the street. More than a campaign, this “Triple-E” behavioral change process seeks to create lasting social good through the consistent and persistent application of low-cost engineering, community education, and high-visibility enforcement. Initiated by Bike/Walk Central Florida under the leadership of former Orange County Mayor Linda Chapin, spearheaded by Orlando Mayor Buddy Dyer and Orange County Mayor Teresa Jacobs, the Best Foot Forward coalition includes Orange County Government, Orange County Public Schools, Orlando Health, LYNX, Winter Park Health Foundation, MetroPlan Orlando, the City of Orlando, Winter Park, Maitland, Winter Garden, Apopka, and towns of Eatonville and Windermere as well as police chiefs throughout Orange County led by Orlando Police Chief John Mina and Orange County Sheriff Jerry Demings. The long term goal is to cut pedestrian injuries in half in ten years. The short term goals are to increase driver yield rates by 60 percent on roads posted 35 mph and lower, and a 10 percent increase on driver yield rates year over year on roads posted 40 mph and higher. To learn more, visit www.iyield4peds.org.